I made it just on time for the early morning flight to Delhi to get onto the connecting flight to Bishkek, due to the exceptionally long queue at the Chennai airport. After changing terminals at Delhi, I was finally in the Air Manas aircraft, all excited like a child, and looking forward to the road trip along with MotoRover. The scenic views while take-off, en route and landing kept me mesmerised. The aircraft was filled with many medical students from across India. Upon landing, the first thing that amused me was the toilet roll in the airport as it did not have a hole in the middle and was not as convenient to use! I was greeted by the tour organisers, and we headed to the hotel along with few other co-passengers of this road trip. En route, we exchanged dollars to the local currency, Com (which is pronounced as ‘Som’). The cool and pleasant weather was welcoming. The sunset was past 7 pm. As I knew I had only very little time in Bishkek, I went for a walk to Ala-too square which was well lit up and abuzz with activity. Pretty flowers adorned the walkway. Dinner was at a nearby local restaurant for the entire group of 18 visitors and 3 crew members. The group had people from Pune, Bangalore, Hyderabad, Rajasthan, Kashmir and Chennai, between the ages of 23 and 85. We were briefed on the tour and about the culture of the land. Tired after a long day of travel, we headed back to the hotel past 10pm. The real tour was to begin the next day. Park Hotel, where we stayed, was close to Ala-too square. I was keen to see this place in its natural grandeur and hence went for a morning walk with two others who were part of this trip. The lovely weather, combined with the bright and colourful flowers, was delightful. After breakfast, we left the hotel in a convoy of 9 cars, all of them Toyota 4Runners. After paying the deposit and making a quick inspection of the cars, we rolled out on schedule. Car 1 was the lead car and car 9 was the sweep car. As I was not too keen to drive, I was in car 1 with the tour leader, driving occassionally. Soon after we moved out of the crowded capital city, two of our cars were caught by the local cops as their headlights were not on! After paying the requisite fine, we drove past vast farmlands into the countryside. We ate some juicy corn that was being sold by the roadside and continued thereon. Our first stop, before lunch, was at Chon-kemin to witness the traditional nomadic horse games. It was interesting to watch the two teams fight with each other on top of horses, pick up stuff from the ground while seated on the horse, play tug-of-war, etc. There was also a shocking game where a dead, headless sheep was used to play between the teams. Apparently this was a method in the nomadic tradition to soften meat. This was followed by a fun game of chasing the bride. The guy who gets to kiss her, wins her. 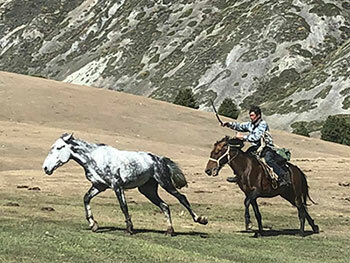 If he loses, the girl gets to whip him – all on horseback! From here, we were taken for lunch to Ashu Guest House, where we were served soup, salad, bread, and rice and traditional curries. The next pit-stop was a coffee break by lake Issyk-kul, in the northern Tian Shan mountain ranges of East Kyrgyzstan. This is the world’s second largest saline lake after the Caspian Sea. Its speciality is that, despite being surrounded by snow-capped mountains, it never freezes, and is hence known as the ‘warm lake’. It is also a stopover on the Silk Road, the ancient route along which silk and spices were sent from China to Europe. By the shores of the lake, we were served hot tea and coffee with biscuits. So massive did the lake seem, that had I not known otherwise, I would have thought we were on the sea-shore. From there we headed to the lakeside town of Choplon-ata, where we were to spend the night. Just before entering the town, we also saw the spot where the World Nomad Games were held the previous week. After witnessing a gorgeous sunset, we checked into the lovely Hotel Capriz. 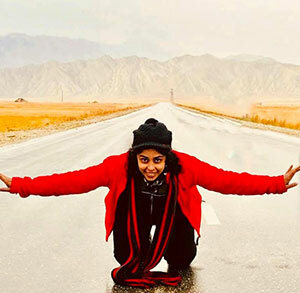 This particular Chennaite was already freezing, as the nights in Kyrgyzstan became quite cold. A quiet dinner was soon followed by blissful sleep. 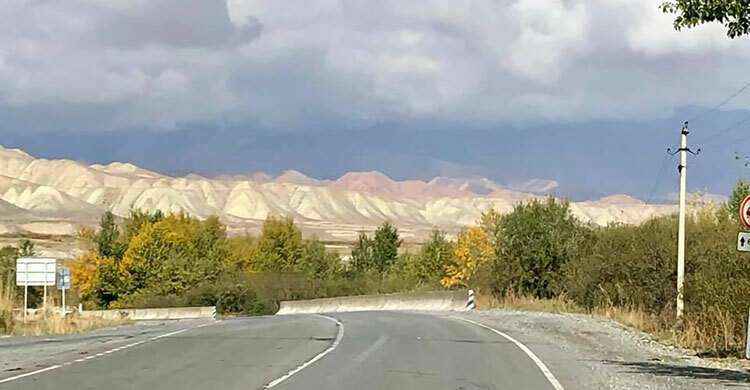 An autumn visit to the capital city of Bishkek, situated in Central Asia, was followed by a Drive of 1,500 kms in the land known for the Epic of Manas, Felt craft, embroidery, Grazing cattle, Horse games, eagle hunting, Issyk-kul lake and Jeti-Oguz. In the exotic country of Kyrgyzstan, Lakes, scenic landscapes and Mountains are a visual treat. It was ruled by Nomads, Russians and Mongols in the past. Off-roading terrain, Parrot pass with 32 bends, Quaint country-side, and Roads leading to the horizon, are all part of the Silk route of ancient times, featuring places like Tash-rabat, a world-heritage site. Uzbekistan, Kazakhstan, China and Tajikistan are the neighbouring countries. Valleys snuggle between snow-capped mountains, with the Weather quite unpredictable. This land-locked country is also known for Xtreme sports. Yurts are built by the Zestful and friendly locals, making it an absolute delight for every traveller. 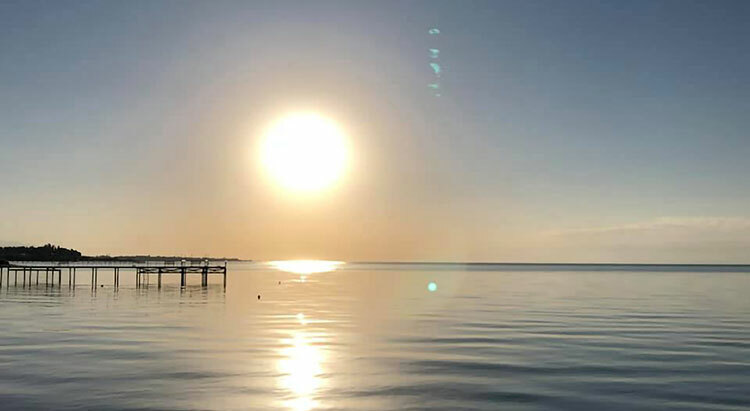 A beautiful day began with a gorgeous sunrise as the light gleamed off the lake. The chill wind caressed and the clear lake stood still while the sun gently rose. It was a fairy-tale moment indeed, and I felt I didn’t want it to end. I didn’t have the heart to leave this private beach. The convoy rolled out, driving alongside the lake, and thereafter into off-roading terrain, to a scenic spot called Grigorevka, which has a pristine, soothing steam running across its rocky base. We roamed about and then had a picnic lunch. It was an absolute delight for us to indulge in some 4x4 driving in this amazing landscape. We parked by a smaller lake and enjoyed hot noodles, theplas and other snacks, followed by tea. After packing up, we drove on towards Karakol, Kyrgyzstan’s fourth-biggest city. We passed many horses along the way, and it was a sheer treat to watch these beauties run alongside our cars. We spent the night at Hotel Karagit. Having arrived ahead of schedule, we explored the local market, buying specialities like white honey and walnut oil. Some of us sampled the local bread, Boorsok, while others tasted the region’s silk-smooth vodka. Dinner was at a restaurant called Dastorkon, which had a live music band playing. As day 4 began, we were all excited about discovering more of the treasures of Kyrgyzstan. Our first stop was Jeti-Oguz, or ‘seven hills’, which has a steep off-roading climb. It was absolutely stunning to see the royal dark-red hills against a deep-blue sky. Our beautiful local guide regaled us with two legendary stories of Jeti-Oguz. After clicking pictures to our heart’s content, we moved on. Although I drove occasionally during this trip, being in the lead car, I was stopped for speeding in the epic village of Kyzyl-suu. After a bit of negotiation, and verifying my international driving licence, I was let off with a fine. (Grrr!) I regained my enthusiasm as we drove along the shores of a lake with varied, mesmerising hues of blue. Autumn had just set in, and the vegetation had shades of green, yellow, orange and red, a splurge of colours that only enhanced the beauty of the place. Lunch was a highlight, as we were to eat in a local Kyrgyz house in the village of Bokonbaeva. A double bonus was that the house belonged to a seventh-generation eagle hunter, one of very few left in the country. As we entered, we passed lynx skins displayed at the entrance. The mix of smells, as we prepared to eat, was overwhelming. After a quick meal, the eagle hunter took us to his backyard, where a huge eagle was squeaking chirpily. Following a briefing, we were each given turns holding the majestic bird in our hands. It was a top-of-the-world feeling to see and hold the mighty bird at such close quarters. Its sharp claws, pointed beak, piercing look and lofty wings were simply mind-blowing. Since it weighed over 5 kg, our hands started to shiver lightly after holding it for a while. We were to witness more of the eagles in a stretch of land nearby. 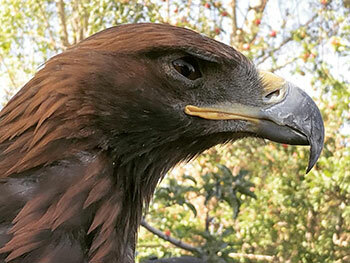 Here was a younger and wilder eagle, which was still being trained and hence was blindfolded. As soon as its blindfold was removed, it swooped down from atop a hill, and lifted its meek prey, a rabbit, which it polished off in mere minutes. It was a bit unnerving to see the eagle feast on the rabbit’s intestine, but at the end of the day, the eagle is a fierce predator. From Bokonbaeva, we drove to Kochkor, stopping for coffee at Orto-tokoi. This long drive was out of the world, and the clouds played along, creating a splendid atmosphere. We stopped by a reservoir to enjoy our coffee break. This night was special, as we were staying at Mira Guest House, a family-run establishment headed by a 55-year-old psychiatrist, Mira. What was most impressive is that she manages to cook before leaving for the hospital, and upon returning, again manages the guest house together with her family members. After a short walk, we were treated to local folk songs and Kyrgyz music, along with the home-cooked dinner. The group then relaxed inside an attractive Yurt before going to sleep. The morning started off with a short post-breakfast walk in the near vicinity. We discovered just how picturesque Kochkor is, nestled between snow-capped mountains. We headed towards Naryn, stopping on the way at lovely locales for quick photo-shoots. The sun shone mildly, and the wind blew chill. We continued towards Lake Song-kul, which lies at an altitude of over 3,000 metres. 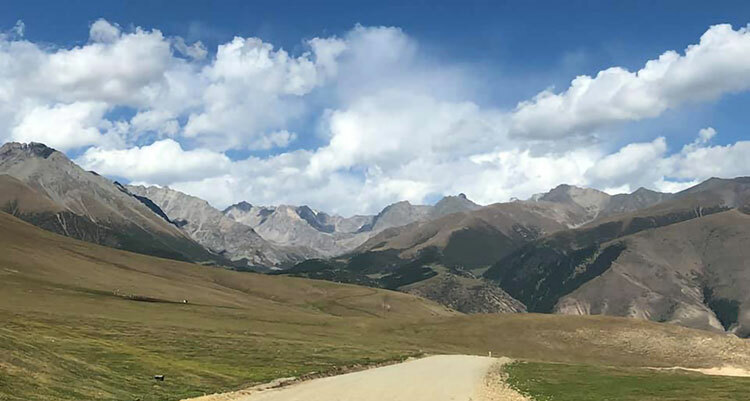 The drive – across vast flatlands in the heart of the mountains – was exceptional, because we were already at a higher altitude than that. Soon, we arrived at a spot by the lake where we were to camp for lunch. Amazingly, a few members of the group decided to cook upma! Who on earth would have thought that we would relish a South Indian delicacy on a cold and windy day, atop a mountain in the land of Kyrgyzstan? We continued with the off-roading through these vast grasslands. The drive back included the famous Parrot Pass, which has 32 sharp bends. The fun quotient increased with a steep off-roading drive before we reached Hotel Khan Tengri in Naryn, where we were to spend two nights. Today was a late start, with the cold weather encouraging us to laze around. The day’s agenda included driving to Caravanserai in Tash-rabat, situated at a height of 3,200 m. The drive was lovely, and we felt like we kept driving into the horizon. It was exciting to spot yaks that were on their way to Tash-rabat. We were greeted by a local who lives there ,and were enamoured by her beautiful and colourful Yurt. We wore local costumes with glee, and had a sumptuous lunch. Soon after, we decided to trek the hills, which did not prove to be an easy task. Heavy food, the altitude, and the cold and windy weather challenged us further, but the views only got better at the top. Upon descent, we refreshed ourselves with cold water from the stream, and then moved onto the next item on the agenda, Caravanserai. 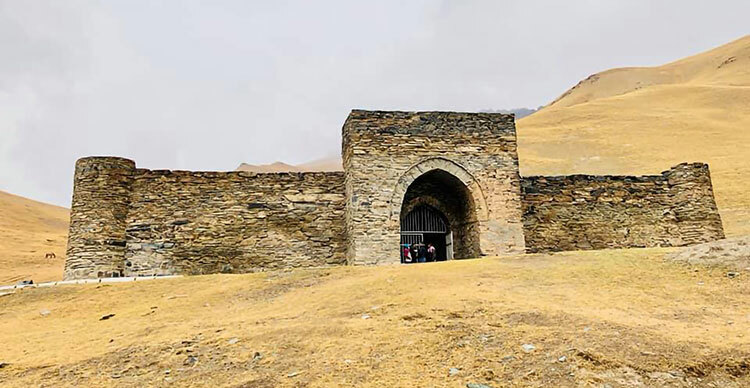 Providing shelter to travellers along the Silk Road, this is a well-preserved, 15th century world-heritage site. We were amazed by the stories our guide shared with us, and also saw a 25 km tunnel that ran from Caravanserai to China. It started to rain just as we exited, and the weather got even colder. The drive back to the hotel was lovely, and even managed to click pictures on the long and empty flat roads. This was officially the last day of the trip, and we headed back to Bishkek, from where we were flying out the next morning. We stopped at Kochkor to witness some amazing felt-work on wool, and had a live demonstration of it. We also shook our legs to catchy Kyrgyz numbers as part of the felt workshop. This was followed by souvenir-shopping and lunch.